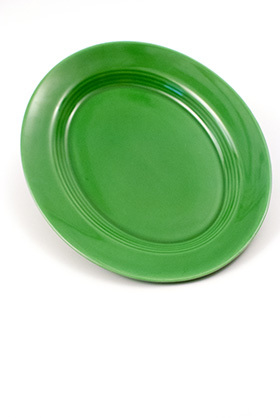 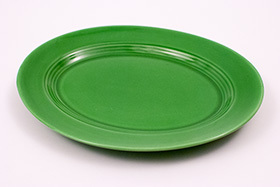 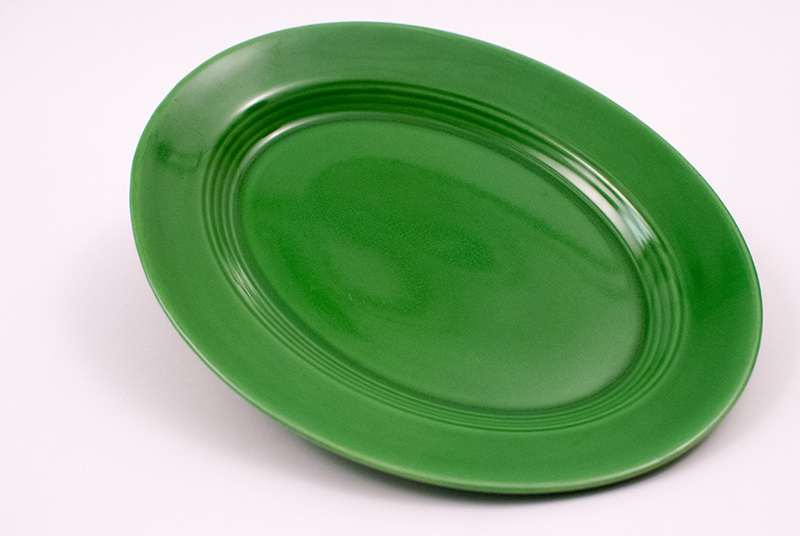 Circa: 1959-1969: Harlequin pottery, sold exclusively at Woolworths department store was produced in far less quantities than the vintage Fiesta pottery and even more so later in its life when the last color, Medium Green, was introduced. 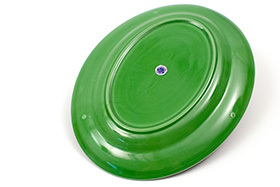 So finding large pieces of Medium Green, like this 11" platter is a real treat, even more when it is without a scratch, as is this piece. 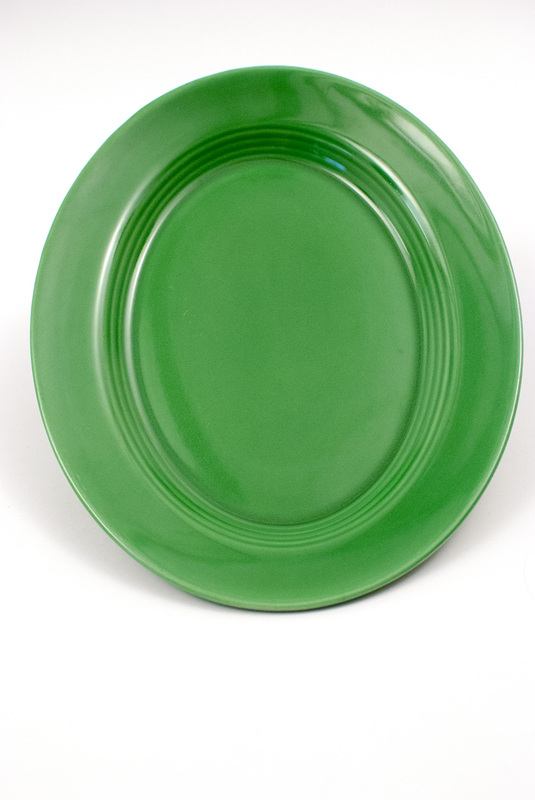 This vintage Harlequin medium green platter came from the Becky Turner collection and is without a doubt one of the nicest examples possible.